The new years is almost here, and so is my newest collection of poems, The Oldest Stone in the World (Amsterdam Press). With a release date of 1-1-11, it will be the first book of the year. But that’s not what I want to write about. No. 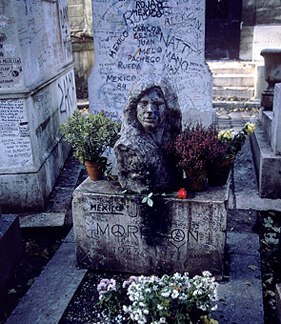 I want to write about two things: Jimi Hendrix and Monte Antico Toscana 2006. I’ve been listening to Jimi again. I always knew he was good, but now I think I’m getting him. No, it’s not like an intellectual getting when you talk through your nose and say something like, “Mm, yez. I certainly do dig this fella’s music. Yez, bravo, young chap. Quite good. Quite good, indeed.” I’m actually just feeling him. His music feels good. I don’t think he’s playing the guitar. I think he’s just making sounds that sound good to him and everyone. 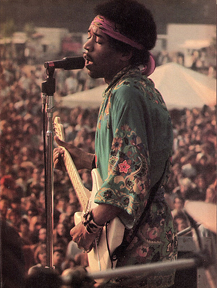 I’m listening to him live in Newport June 22, 1969 – the first part of the All Star Jam. He’s exploring the songs he already made masterpieces. He’s making them new. What else can you expect from an artist. But there’s more than all of that. It’s his presence or the presence that surrounds him. There’s an ease around. A peacefulness and a playfulness. It’s a bit similar to joy. I could on, but I won’t get any closer to describing what I’m saying. Needless, Jimi is awesome, and I have always underrated him, and I had always rated him high. I have similar feelings about Monte Antico. I’ve been underrating this wonderful wine. I’ve always liked it. Always being less than a month. Since December 3. 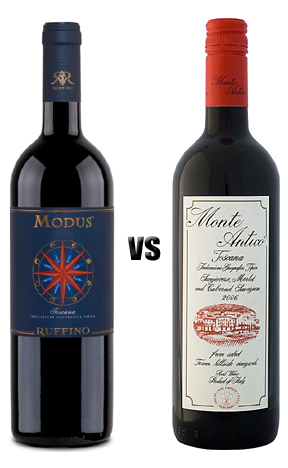 Even in the Ruffino Modus Toscana 2007 vs. Monte Antico Toscana 2006 battle, I knew it was good, but I underrated it. In fact, since that Toscana battle, where the Modus won, it’s not the Modus that I’ve been returning to. Nope. I’ve been returning to the Monte Antico Toscana 2006. And I’ve been returning to it often. Part of that, a minor part, is the $10 Mahan’s sales price. Man, this is an amazing wine for $10. Let me drink that wine. Feel it. Feel it in my bones, baby. I feel so good. He knows what’s up. He’s talking to me from the beyond. I love the jammy nose of the Monte Antico Toscana 2006, on the palate it has heavenly, juicy fruits, berries, and plums, and it finishes with caramel. It’s bright and alive. The Monte Antico Toscana 2006 pairs well with many foods. You know the same old rap. Forget about yesterday and forget about tomorrow. We’re just gonna have fun tonight, right? Let’s just get it on tonight. Alright. It’s still my birthday week, so I’m celebrating. Right now I’m listening to Joe Cuba Bang! Bang! Push, Push, Push. "Château Beauchene Chateauneuf-du-Pape 2007 Grand Reserve. This is the best picture you will find of it on the Internet. The first song is dynamite. It’s getting me in the mood to drink this whole bottle of Château Beauchene Chateauneuf-du-Pape 2007 Grand Reserve. Well, maybe not the whole bottle, but much of it. It is my birthday week still. The Friday of my birthday week. Oh Yeah. So put your red dress on. So don’t you get to sharp. Hey. Hey. Hey. Hey. Hey. Hey. Oh Yeah. Hey. Oh Yeah. I’d like to kiss your lips. Hey, girl you’re lookin’ fine. We’re gonna to do it again. Hey. Oh Yeah. Hey Oh Yeah. Hey. Go get it. Hey. Go get it. Hey. Get it. Hey Get it. Hey. We’re gonna get it. Hey. Get it. Hey. Hey. I think those lyrics are correct. If not, you can listen for your self. But before you do, get a drink and prepare to dance. Now, that’s the meaning of life. And so is this wine. It’s a dark, shiny ruby. It glimmers with vitality. It’s meniscus is miniscule, and I like miniscule menisci. Ay yi yi. It’s nose is also brilliant, but dulled a bit with some earth, tobacco, and leather. But it’s not dull. No. It’s still bright because of the raspberries and spice. Hey. Hey. Sock it to me. This is the weirdest, craziest wine I’ve ever tasted. There are so many flavors all over the place. It’s dizzying. It starts really tangy. Then, did I get a cherry pie somewhere? (My girlfriend says a cherry-rhubarb pie.) There are a lot of sharp berries in here. This is delicious. Where did I get his. Oh yeah. The liquor barn on Route 93 one hundred yards into New Hampshire when coming from Maine. The finish is sweet and spicy and long and yummy. Despite all I’ve said, it’s a well mannered wine. It’s so polite and at ease, but it’s not shy. It wanders all over my mouth. It introduces itself to every part of my tongue and gums. It’s says, “Hi” in such a way that everything inside my mouth smiles, and so do I.
Damned good stuff. 92 points I say. I’ve got all this great wine on my rack. Yay. I’ve been saving up for my birthday weekend. Yay. And today is my birthday. Yay. I think I have a cold. Boo. I don’t know if I’ll be able to appreciate any wine. Boo. I think I wasn’t really able to taste those Toscanas the other day. Boo. But it’s my birthday today, damn it, and I’m going to give it a go with The Wine Spectator’s #75 wine of 2010 the A to Z Wineworks Pinot Noir 2008 from Oregon and rated at 90 points. The color is bright and alive. So light. I can see right through it. This will be refreshing from all the Cabs I’ve been drinking. It’s nose is even bright and is infiltrated with pepper. It smells like Oregon terra firma. I get some cherries and a hint of raspberries. Way back, I get a hint of cantaloupe, too. The nose is filled with grins and pleasant sighs. Oh, that’s delicious and pleasant and smooth. And juicy! A thin juiciness. A long finish. Mmm. It just lingers in prettiness with just a hint of tartness. But it’s so bright. There are blueberries in here, too, but mostly cherries. Bing cherries. Oh, it’s delightful. And after a while, there is a hint of dryness. Like dust. Like dust from the paths they drive and walk on while carting the wines. This is a terrific wine. It’s like 92 points terrific. So why A to Z? The 2008 A to Z Oregon Pinot Noir is blended from wines made from at least thirty different vineyards representing all of the Oregon AVAs that grow Pinot Noir. We take great care to craft one cuvée each vintage, creating a complex blend that embodies The Essence of Oregon. And damn it, they have. Like I said, it tastes like Oregon, and Oregon makes the best Pinot Noirs. And it’s organically grown, too. 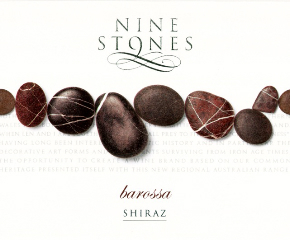 (http://www.atozwineworks.com/documents/08PNShelfTalker.pdf). So double bonus. Plus, an awesome slogan: Aristocratic Wines at Democratic Prices. Triple Bonus. Tonight there will be a battle. No blood will be spilled nor any wine, but much wine will be drunk. This challenge comes in the wake of the announcement of the Wine Spectator’s Top 100 Wines of 2010. 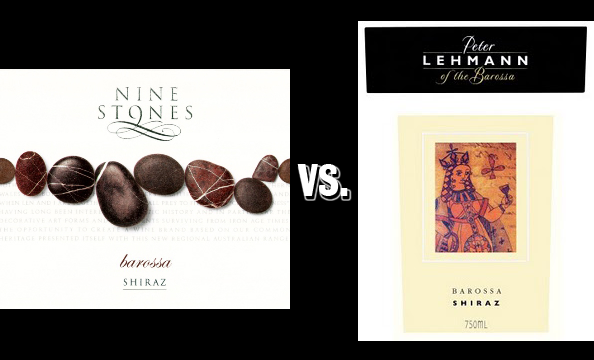 It fact, this battle is really a battle with Wine Spectator. It’s David and Goliath battle, but this time David has a grape. Tonight’s giant coming in at 96 point and #25 on Wine Spectator’s Top 100 Wines of 2010 with a price of $35 (on sale for $19.99 at Mahan’s) and wearing a wine label over a cork is the Ruffino Modus Toscana 2007. Woo woo. And in this corner a little Italian wine that no one has heard of and with a low, low Mahan’s sale price of $9.99 and wearing a screw-top top is the Monte Antico Toscana 2006. Yay yippie. As you can see these are both Toscanas, so it should be evenly matched, but let’s look at the numbers. The Modus is 50% Sangiovese, 25% Cabernet Sauvignon, and 25% Merlot. The Monte Antico is 85% Sangiovese, 10% Cabernet Sauvignon, and 5% Merlot. The Modus will have a bigger body, but the Monte Antico will have the bigger rustic spirit. At least that’s what the odds makers are saying. So here we go. Allons-y. The glasses of wine come out slowly and present their colors and menisci (the plural of meniscus). The Modus has a shorter meniscus and with more color. Oo a jab to Monte Antico. Monte Antico counters with a brighter top color. Below the menisci, both wines, however, are solid purple in color and equally opaque – the Modus, though, is about 98% opaque and the Monte Antico is about 95% opaque. The first round goes to the Modus with shorter, deeper colored meniscus. Monte Antico comes out smelling like bacon, flowers, and carmalized sugar (my girlfriend picked up on the latter). And there is some jam, too – strawberry jam. That’s good a solid, berryful comeback for the Monte Antico. The Modus challenges back with a deeper nose of tobacco and leather and with a bouquet of flowers, more flowery than the Monte Antico. These flowers are like lilies, Easter liliers says the girlfriend. This nose is more balanced, too. When I returned to the Monte Antico, the nose wasn’t as delightful as before. The Modus gave an upper cut to the Monte Antico with its lilies. The Monte Antico seems a bit stunned and is a bit wobbly. Ding ding. Monte Antico has been temporarily saved by the bell. This round goes to Modus, too. The Modus comes out with a swagger and leads with dark berries (dark cherries and cranberries) and finishes with tartness, flowers, and a dry finish. This wine is getting excited and styling as it’s showing off its long, clingy legs. The taste reminds me of an old, sturdy, rocky, bald mountain under a clear blue sky. From its peak you can see the Mediterranean Sea. Can the Monte Antico counter? Does it have what it takes? Can this David stand up to this Goliath? The tobacco nose rushes out of the glass before I even begin to taste. The nose has recovered. It’s stronger, faster, better. It seems bionic. 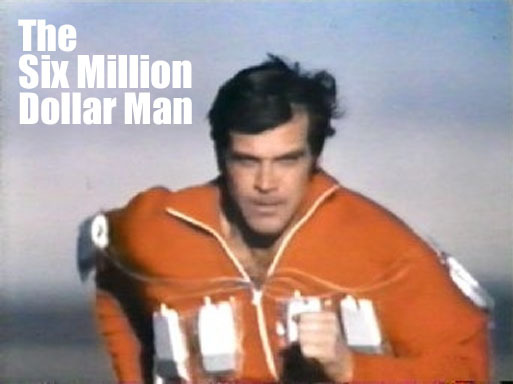 It seems six million dollars. The Monte Antico is completely different. It leads with some sourness then turns quite juicy and finishes with caramel. What a counter. It’s body is a little lighter than the Modus, but what a little spar it just had. It’s delightful. It makes me think of a fair with cotton candy. 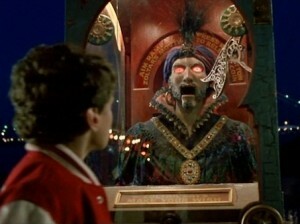 It makes me think of the movie Big when he is at the fairground and right before he leaves to go get his wish from Zoltar. Ding ding ding. That’s the end of the battle. Who wins. The girlfriend scores it 10-10, 9-10, 10-8. The burnt sugar and finish of the Monte Antico won it for her. This judge scores it 10-10, 10-9, 10-9. The complexity and depth of the Modus won it for him, but he sure loves the playfulness of the Monte Antico. For price, the Monte Antico wins. For quality, the Modus wins. Now, I’m going back and forth between the two and it’s getting nasty. I need food interruptus. I need bread and onion-fig jam. Wait. Hold on. There’s an after-the-match scrum with the onion-fig jam and ciabatta bread. Monte Antico comes out swinging. Oh, it’s a wonderful complement that smooths out the wine and brings out the onions. That’s it. That’s it. They are both winners.